REALTOR vs Real Estate Agent - What's The Difference? It is time to sell your home, and you made the right choice to list with a professional in the real estate industry. As you begin interviewing prospective sales agents in your market, be sure to ask them if they are a Licensed REALTOR® or a Licensed Real Estate Agent. Will this make a difference to you in the selling of your home? Let's compare it to the choice between using a Medical Doctor, MD versus a Nurse Practitioner, NP, for your healthcare. They both may be able to order tests and write prescriptions for you, which depending on your illness, both would suffice. The difference would be in the training, experience and the extent of care they are able to provide. The same goes for using a REALTOR® versus a Real Estate Agent to represent you in the negotiations of buying and/or selling of Real Estate. What is the Difference Between a REALTOR® and Real Estate Agent? The terms “REALTOR®” and “real estate agent” are used interchangeably by consumers. It seems not shared widely enough by those in the industry that there is a distinction between the two. Both the real estate agent and the REALTOR® must be licensed to sell real estate. A real estate agent is anyone who is licensed to represent a consumer in real estate transactions. They may be an agent as a salesperson, an associate broker, or a broker in the Real Estate Industry. 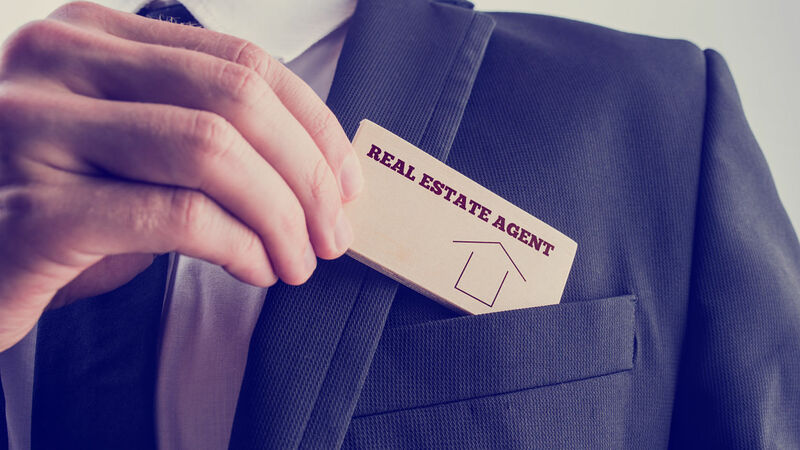 To become a licensed real estate agent, they are required to complete a number of state hours, and national hours of education, and pass the exams. The licensing varies from state to state. Real estate agents will pay licensing fees annually and must take the required CE’s to maintain their license. A REALTOR® is a Licensed Real Estate Agent as well, that also is required to complete the state & national requirements of education, and pass both exams. They too pay the licensing fees in addition to the membership fees to be part of the National Association of Realtors. The REALTOR® chose to take their career a step above and be an active member of the NAR. NAR is the largest trade association in the United States. Politically active in the protection of the middle-class homeowner and lobbies against proposals and bills that threaten the opportunities to own real property. Being a member of NAR also holds the REALTOR® to an additional set of standards and ethics beyond that of a licensed real estate agent. NAR stands behind the fact that the code is what separates REALTOR®s from non-member real estate sales agents. All members of NAR members attend an orientation and take an oath to abide by the Code of Ethics and Professional Standards. This strict Code outlines and notifies the consumer the duties owed to a client, other real estate professionals, customers and the public. The Code is based on the “Golden Rule”. It requires that REALTOR®s and Brokers work together in the best interest of the public. As a century-old document, it is considered a “living Code” and does reflect changes and amendments from time to time. Should you use the licensed real estate agent or the REALTOR®? So how would you decide between the two? Both may be very knowledgeable, and nice people to work with. Keep in mind, this is most likely one of the largest business transactions you will make in your lifetime. The REALTOR® as a member of NAR has the benefit of current business tools, additional education, real estate market data & statistics. This will always give them the step up in today’s ever changing Real Estate Market. The best part to you as the consumer is that does not come with any additional cost to use a licensed REALTOR® vs. a licensed real estate agent. It is imperative to be confident in the professional you choose due to the liabilities involved in Real Estate transactions, contracts & law. Ready To Talk To a REALTOR?